Bead Crochet Bracelet Kit and Pattern made with Single Bead Crochet Stitch, called "Leaves & Stars." "Leaves & Stars" features stars and leaves highlighted by sparkling Swarovski crystals. 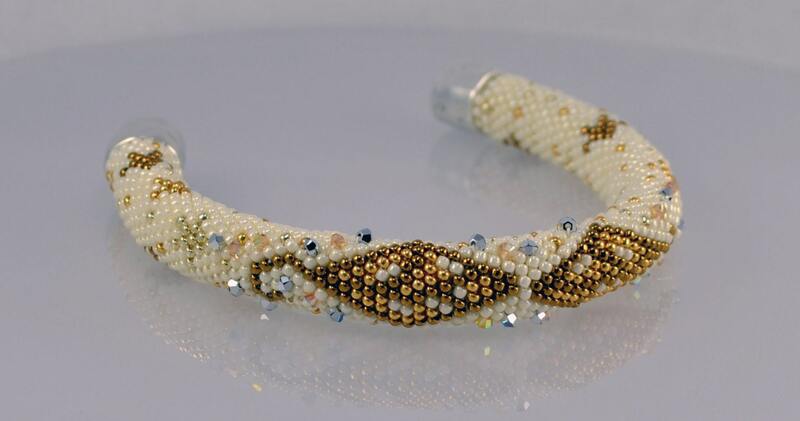 This beautiful 18-around bead bracelet kit includes the pattern and full workshop instructions which show you how to crochet the stitches. 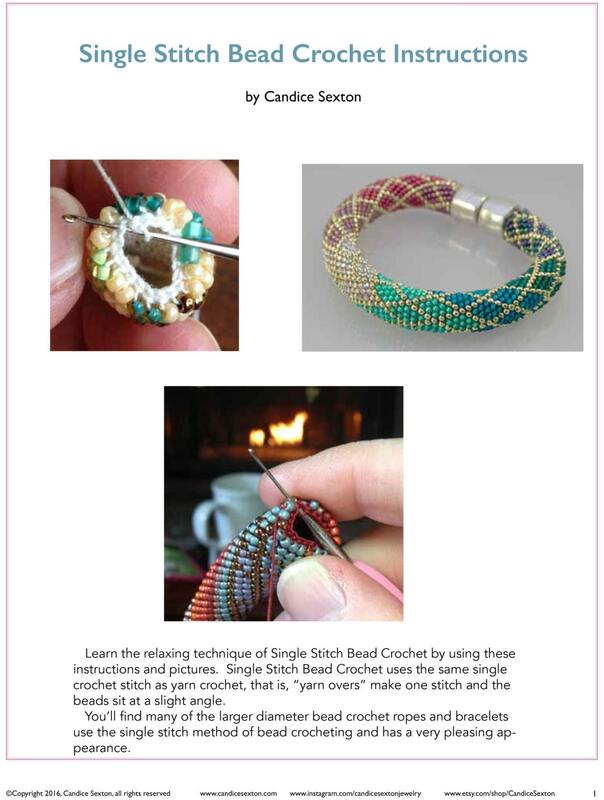 Uses the single crochet stitch common with yarn crocheting. 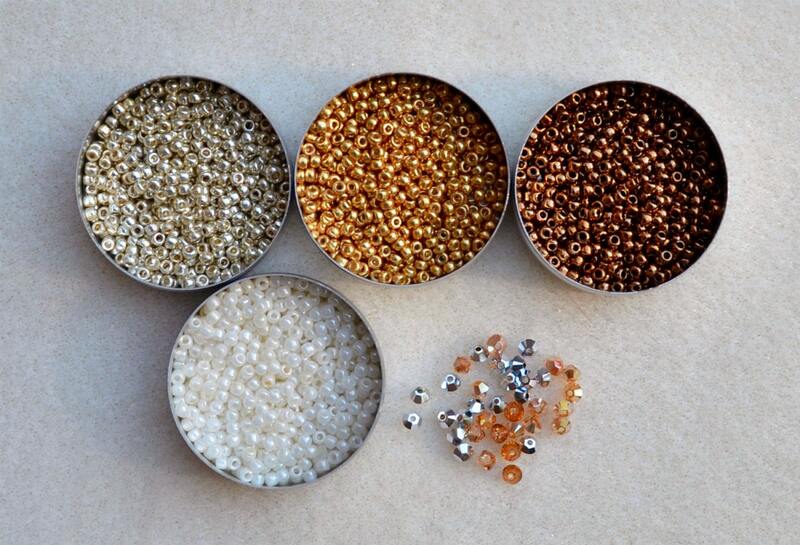 This kit includes: 4 colors size 11/0 japanese seed beads, Swarovski crystals in 2 colors, high quality 100% cotton crochet thread, cotton bolo cording and heavy duty 10mm magnetic barrel closure. Please see the 4th picture above for kit colors. Circumference is adjustable to wrist size and sizing & finishing information is included in instructions. 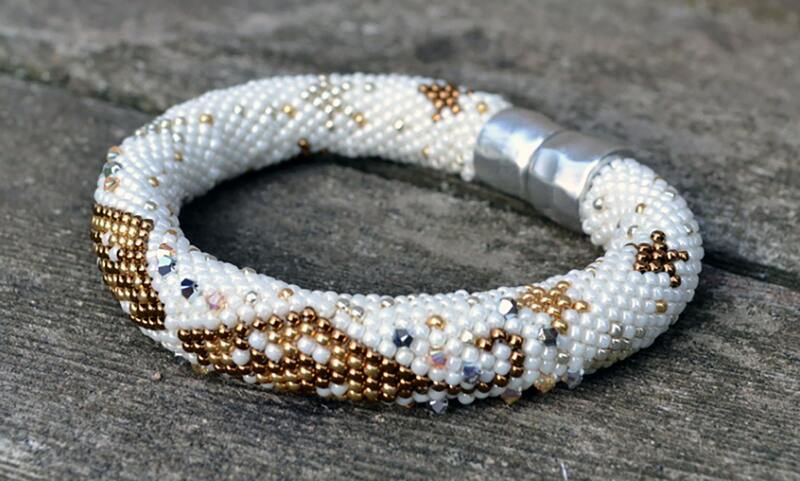 Colorway is creamy white, gold, silver and metallic bronze with gold and silver duo-tone Swarovski crystals; thread is creamy white and clasp is silver.